Interesting alternative to devote some time swimming in City of London. Is it not your first time here? Tell us how it went utilizing the Facebook comments below or contacting us directly! 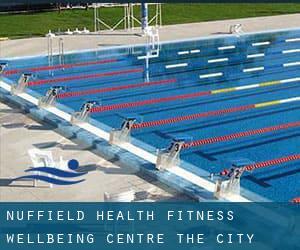 Nuffield Health Fitness & Wellbeing Centre - The City is only one of all of the swimming pools Swimia is offering you, and its information has been shared with us by a swimmer like you.Bear in mind you can now promote Nuffield Health Fitness & Wellbeing Centre - The City by sharing this page with your buddies, adding comments and linking to us. This sports centre provides 18 meters x 6 meters, 3 lanes, Indoors. For this Swimming Pool, only phone number is number here. Ibex House , 1 Haydon Street , The City , London - Central , England , UNITED KINGDOM (Postal Code: EC3N 1HP). This sports centre offers 18 meters x 10 meters, Indoors. For this Pool, only phone number is number here. 21B Old Broad Street , The City , London - Central , England , UNITED KINGDOM (Postal Code: EC2N 1HQ). Among all the activities offered by the centre, if you are interested in swimming you are going to enjoy 20 meters x 6 meters, Indoors. Just in case you want to contact this Swimming Pool just before dropping by, we only know the phone number.